To spread awareness that chickens are in danger through handing out a new media ad. 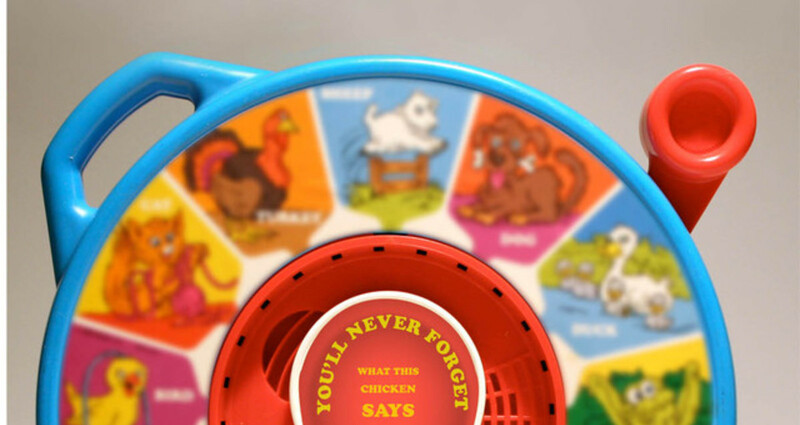 Copy front: " You'll never forget what this chicken says." Copy back: "peta, where chickens have a voice." The media used is a re furbished 1980's " see and say" the y would be handed out/ sent to people. When they pull the level all the animals make the sound that people remember from their childhood. 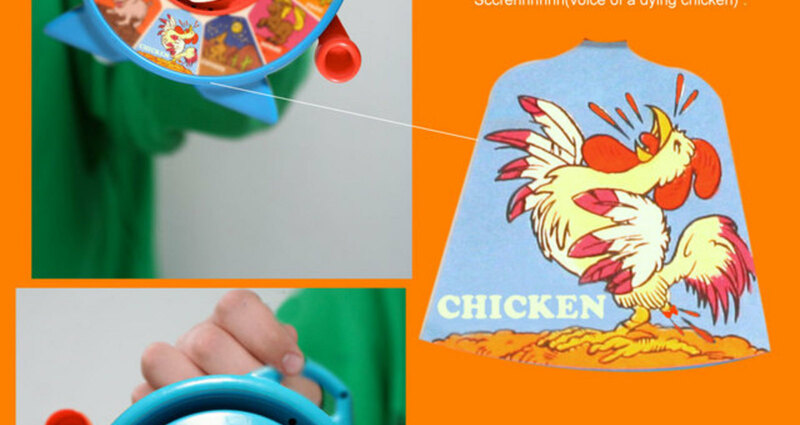 When the arrow revolves to the chicken, the chicken makes the noise of a chainsaw and a deadly screech. The illustration had to be drawn to look like a deformed chicken in the style of a "1980" See & Say style.